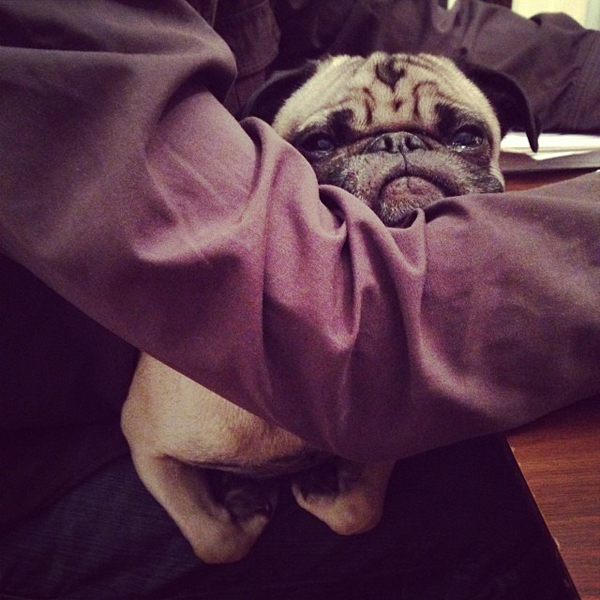 Everytime I turn around the pugs have worked themselves into yet another ridiculously cute position. 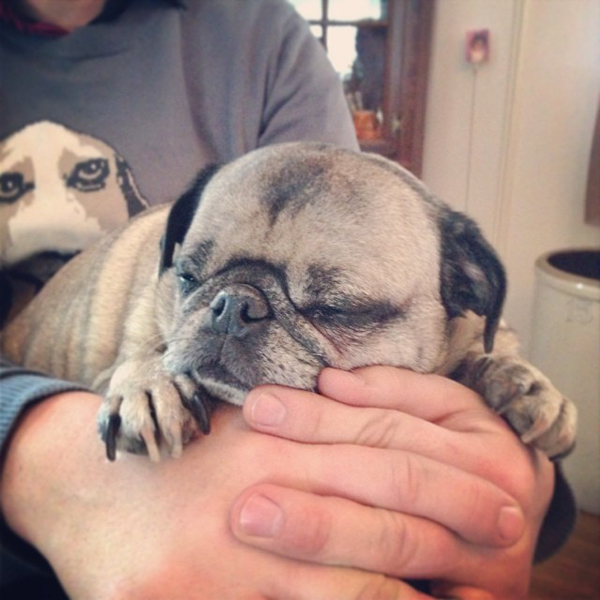 What is it about pugs that they love to rest their chins on something? Oh wait. Right. Their big round heads are heavy. See? You hold up that big scunion and all that weight is taken off their shoulders. There is such relief, they fall asleep. Look at that puddums. 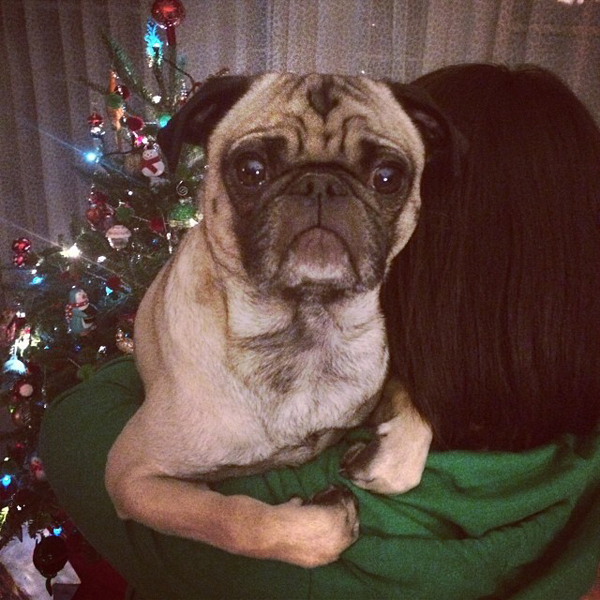 Yes, our pugs get carried around like this. And yes, they are a little clingy.